It isn’t fair for erstwhile skateboards to spend the remainder of their existence, planted on walls as showpieces. They’ve known action and they should continue to see the light. 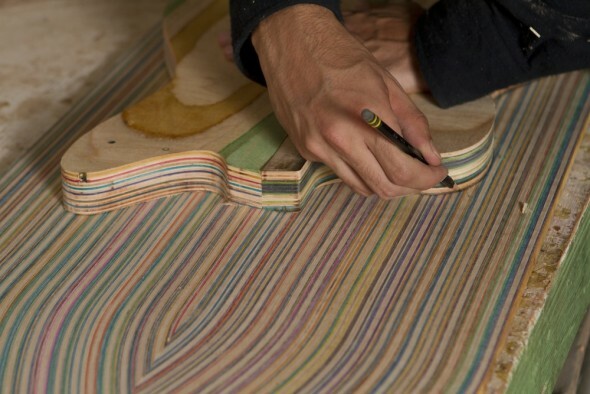 Nick Pourfard, a 22-year old artist, musician and skateboarder managed to find his calling in creating a wonderful use for old skateboards. He converts them to retro-packed, brilliant guitars. 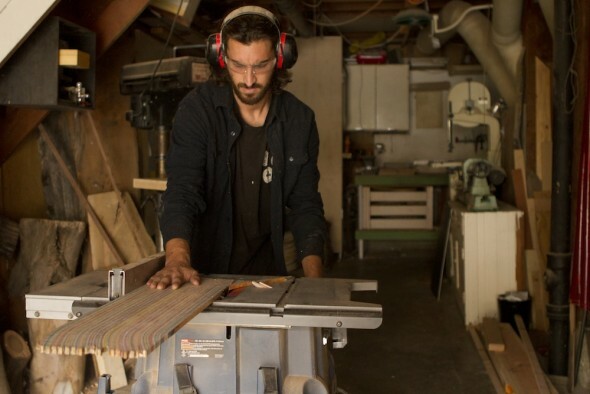 Nick is a San Francisco-based Industrial Design student and the mastermind behind Prisma Guitars. 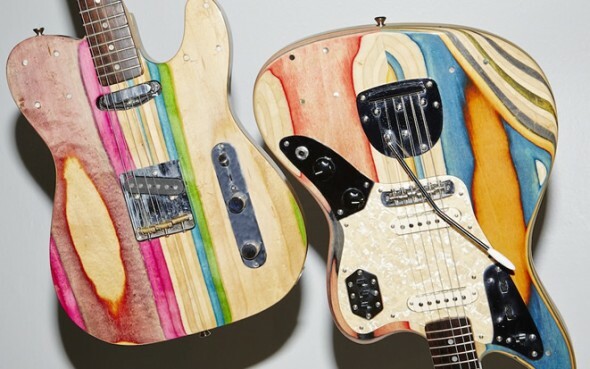 Each guitar is 100% handmade and created using former skateboards. His greatest achievement till now is creating a guitar for legendary bass player, Steve Harris (up the Irons!) from Iron Maiden. Nick Pourfard says, “I took every detail of his playing style and aesthetic into consideration. 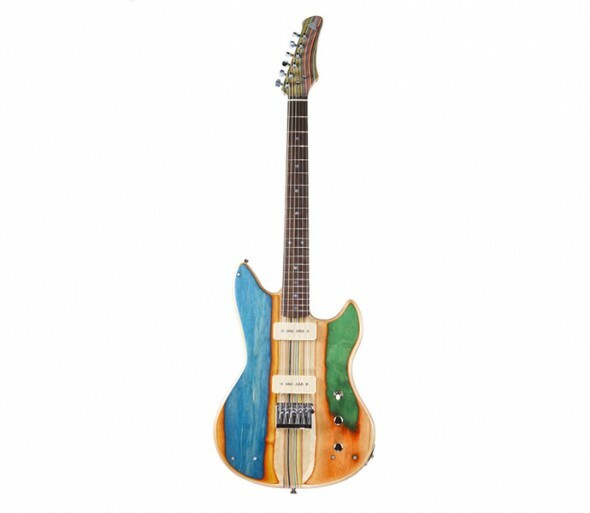 The bass has an off-white painted alder back with skate top featuring colors as close to West Ham as possible. I laser cut a custom mirror pickguard and bound the whole body in black and white to pay homage to his classic original bass.” You could look him up and donate your old skateboard and maybe someday, someone special would be strumming a good tune with it.